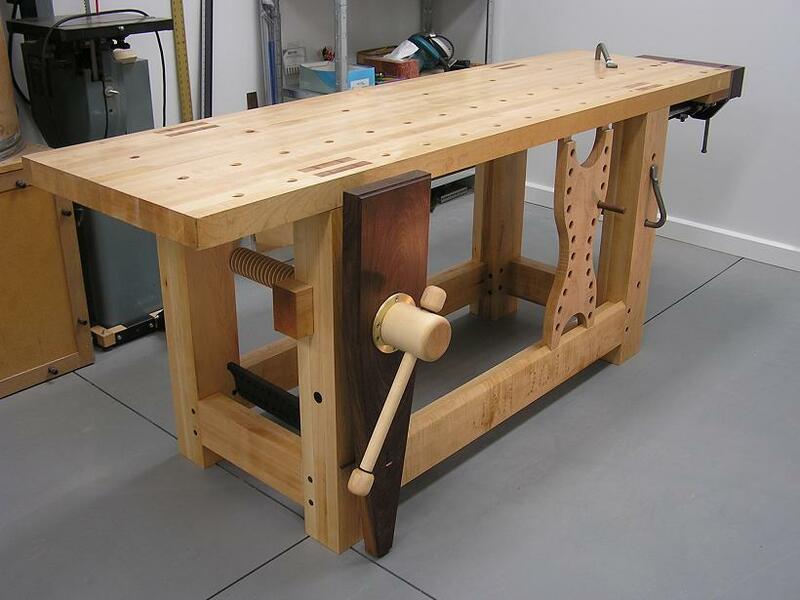 Adding our May 2011 Workbench of the Month from James K. of Berea, Ohio to our Lake Erie Toolworks Blog for ease of access and historical awareness. Attached are photos of my “Robo/Christopher Schwarz” inspired workbench. The top is 24 x 84″ x 2 1/4″ Birch. Legs and strechers are hard maple. Strechers (2 1/2″ x 5″) are drawbored mortise and tenon into the legs. 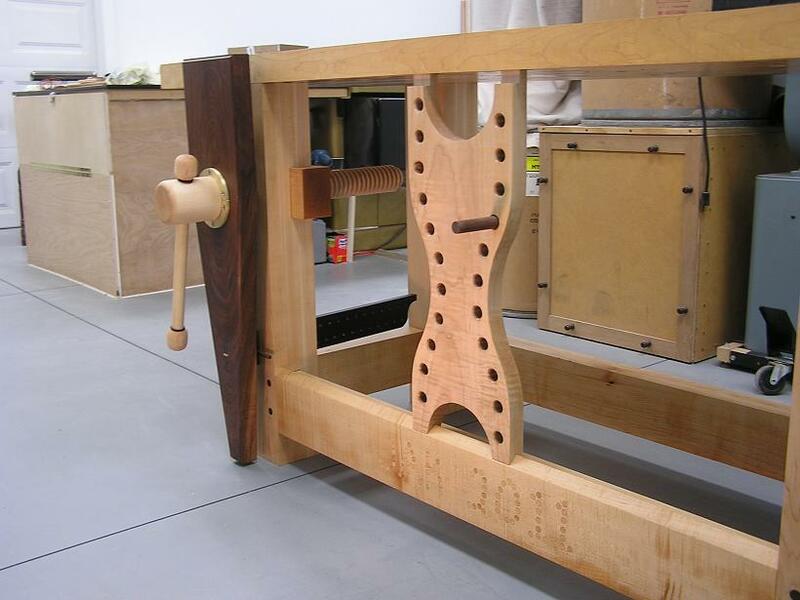 Legs (4 1/2″ x 5 1/2″ x 34″) are double tenons through the top with each tenon double wedged. I used the ‘Lake Erie Toolworks Wood Vise Screw – Single Kit Premium’ for the leg vise. The leg vise chop is walnut and the leg vise guide is Zircote. I used a Record #53 quick release vise as the end vise. The end vise chop is purpleheart. The finish is boiled linseed oil. 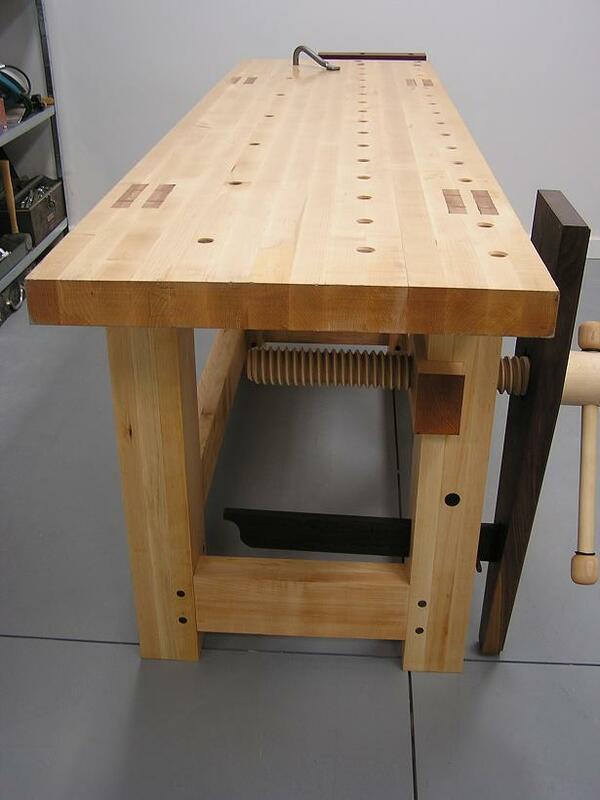 My dream workbench has been a very long time in comming. I have had some of this wood for over 25 years. My job had me relocating every few years so I thought it might be a problem having a 350 pound workbench to move or store. So after retireing I finally have my woodworkers workbench. Now on to kitchen cabinets.